We are expanding our retail network. Do you work with complementary medicine, are you interested in health products, do you run a shop or participate in trade fairs? Are you a yoga instructor, massage therapist or golf coach? As retailer for us you will have the opportunity of working with exciting products which are also profitable! Welcome to join us! 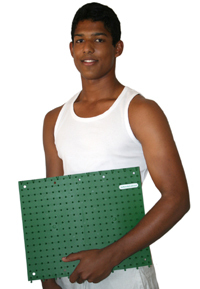 Many masseurs and physiotherapists already use the acupressure mat as a complement to their treatment. Time spent on the mat before massage softens up the client's muscles and enables you to give deeper treatment.